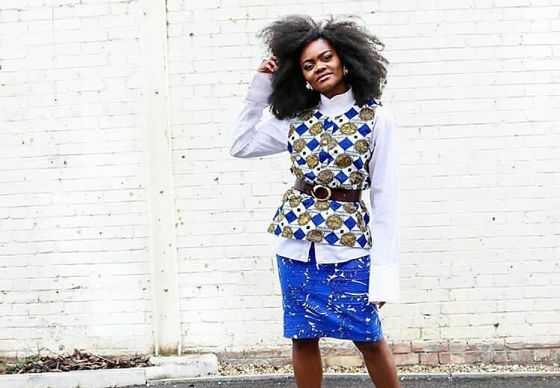 Erik of London is a creative design house that delivers exclusive, high quality fashion apparel and lifestyle items inspired by traditional and popular black culture. Established by business owner, Frederic Jean-Baptiste in May 2017, they offer creative and high quality products and competitive price to value ratio. We spoke to Frederic about his inspirations and start-up journey. Can you tell us more about what inspired you to establish Erik of London? Having always been creative, and inspired by travelling the world and having new experiences, I am aiming to be an ambassador of peace through fashion and design. Creating something out of nothing was the push that I needed to start up on my own, and now there is no looking back. I get inspired by browsing a bookstore, touring a museum or just by attending a concert. My creativity, determination and enthusiasm alongside a professional and dynamic team with deep knowledge of the industry are the most important factors that will contribute to my success. Do you have business premises, or do you work from home? I am currently working from home, but I have ambitions to grow the business and to rent a workshop in the future. This looks like becoming a real possibility as the feedback from stakeholders and potential clients has been nothing but positive, and I am enthused by the process and excited about what the future holds. At what stage in the start-up process are you currently? Right now I am working on prototyping, costing and my marketing campaign and I am confident that many customers will follow. I am a believer that product availability is a critical factor for sales success and we are now working on creating a first batch of samples made of fashion essentials for men and women. How did you begin to turn your business dream into a reality? I approached enterprise agency Nwes through the London Small Business Centre. 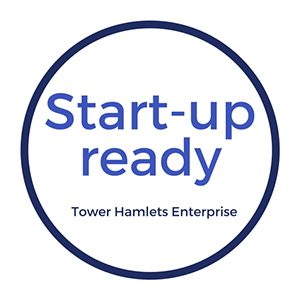 Through the Start Up Ready programme, which is open to residents of the London Borough of Tower Hamlets, I developed some of the practical skills required to become an entrepreneur by accessing free workshops. Through the Start up Ready programme, I was also able to work with business advisor Giuseppe Salvati, who provided me with 1-to-1 business advice and support, which included helping me to develop a business plan, market analysis, developing a marketing strategy, and financial forecasting. The workshops and advice were free as a result of funding from the London Borough of Tower Hamlets. What has been the most helpful experience of working with Nwes? The most helpful experience and knowledge gained by working with Nwes through the Start Up Ready programme has been writing the business plan, which has helped me to look at several aspects of my project in a different way. I created a structure which helped me to size my projects in steps and I actually believe it is totally feasible with a lean operation supported by the correct funding. The whole experience has been very positive. It has given me focus and a robust business structure, as well as different angles for thoughts. What does the future hold for Erik of London? In two years’ time I hope to be selling fashion apparels internationally from lean web-based operations. Also, I hope that Erik of London’s editorial content will start to be recognized for his quality, in the sense of valorizing black cultures around the world. Working with the Nwes Group through the London Small Business Centre was a great experience in terms of the quality of the training received, but also the great networking opportunities that were offered with the many participants in workshops. The materials used by the trainers were straight to the point and really stimulated my mind in regards to creating a business plan and successfully executing my business idea. My advice to others who are considering becoming their own boss is to gain market knowledge. Test and measure everything. When planning, always overestimate expenses and underestimate revenues. Never stop learning. Just do it!